Fuller Brewery Tour - Beer-Time Gone Cosmic ! Ever been to a brewery? I mean a “real” brewery, not a beer factory. In the United States, you’ll have to find a so-called craft brewery and a special one at that. A brewery is where long time workers know about the ingredients, do the processing and blending themselves. They don’t cut corners, or otherwise use pre-processed ingredients. I admit to a prejudice. I don’t like BIG, especially when it comes to making beer. Just in case you think I am more of a secret snob than I am….my wife says it’s no secret…I will not turn down an ice cold Budly-Wiser on a hot day. No indeed. But, I don’t want to visit the brewery and watch the machines churn out a billion cans a day, anymore than I want to visit a huge industrial hen-house to see endless arrays of tiny cages. 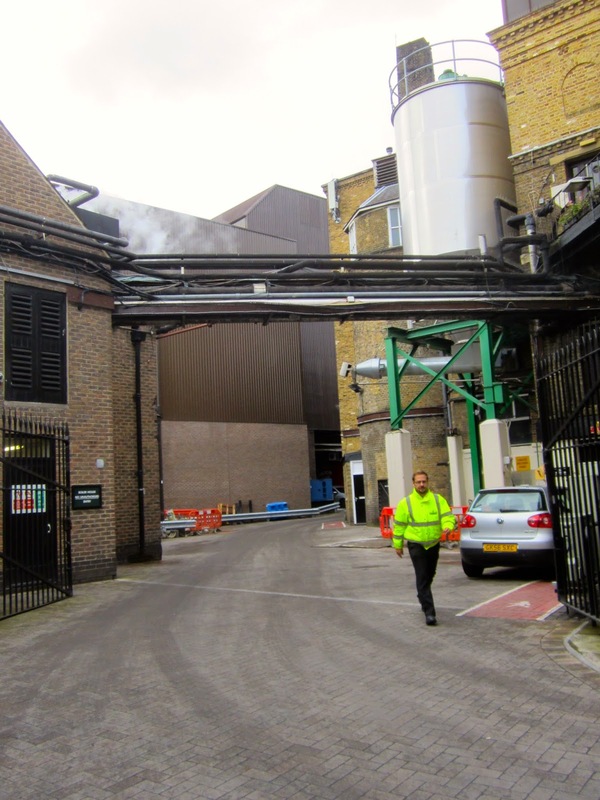 Somewhat surprising then to take a tube and train out of London and find that one of England’s largest breweries, Fuller’s, is still worth a visit. Same town. Same building since 1828, although beer has been brewed on the site since the 16th Century. You get off the train/tube…how the hell do you tell the difference when the transport comes out of an underground and goes for miles on a train track? The only real way is to delve into the bureaucracy of rail travel in Britain and what sane person wants to spend the time when there’s beer to savor? Coming from London, I’ve gotten off at a couple of stations in Chiswick: Ravencourt Park, and Stamford Brook. I prefer the latter, but no matter which one you choose, it’s going to be another 10 to 15 minutes walk from the station, making the full trip about 30 minutes. Although the town is listed as Chiswick, London, you’ll feel as if you’re a great distance from the bustle of the big city. By the way, lots of very cool little pubs in Chiswick, all of them owned by Fuller’s, of course. Doesn’t make these pubs lesser. 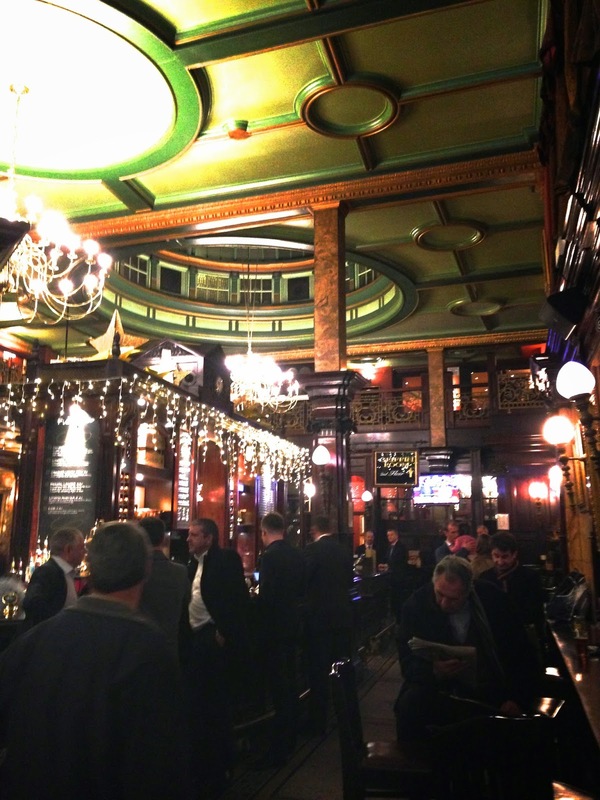 Fuller’s owns about 400 pubs and as I wrote in the last blog (The Old Bank of England, The Counting House), some are joyously special. 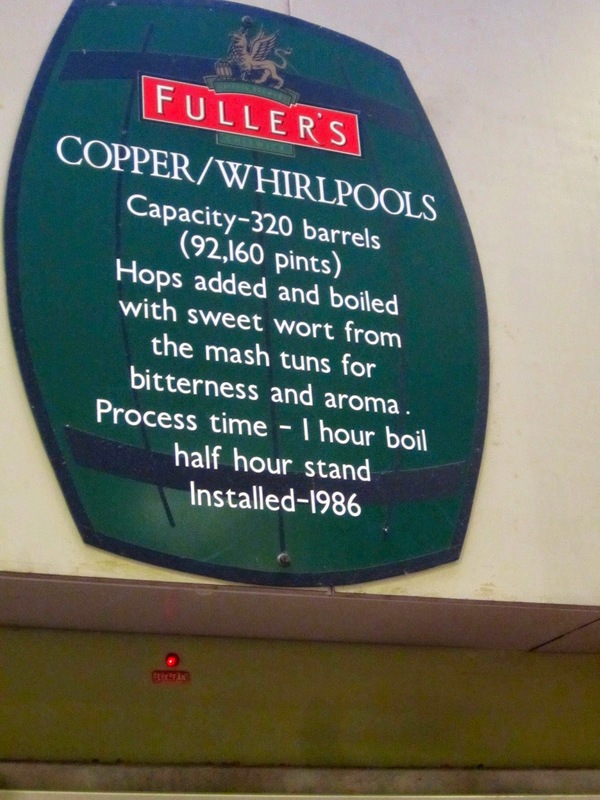 Interesting note: Fuller’s makes more money from their pubs than they do from the Brewery! The Mawson Arms and Fox and Hounds are right next door. Used to be two pubs side-by-side, but are now combined. They serve excellent pub lunches. When you get to the brewery, you’ll wonder if you’re there. The architecture is no different than the quaint brick and stone town you’ve just strolled through. Small wonder. The brewery has been in Chiswick since 1828, and I think the fellow who showed us around was working there when it opened. Just kidding. The guide was a great guy and worked at Fuller’s for many decades. He knows every intricacy of the Fuller brewing method. (and if my memory were better and my mind weren’t perpetually on beer, I would, too) In short, our guide was a walking, talking historian, chemist, and beer connoisseur. You may note that I didn’t take many photos. Photography is allowed, but not of any employees. That’s because most are women who for hygienic reasons must be naked. You believe me, right? But, the part about no employee photos is true and photos of steel and glass and tubing and ….well you get the point. As for the brewing method, you’ll have to settle for this short version, which is pretty much like describing War and Peace as a book about Russia. Four traditional ingredients in brewing beer: malt (usually sprouted barley that has been roasted), liquor (water), hops (to provide aroma and bitterness), and yeast. Lots and lots of variations in the brewing process. The American Malting Barley Association lists 25 varieties of malting-barley. Different beers demand different barleys. Our guide pointed out, with some distain, that some brewers buy their barley already malted and use something called hops oil. He held up a jar of the latter, using two fingers as gingerly as if he were holding mouse urine. Fuller’s, of course, does things the traditional way and there were mounds of burlap sacks of both barley and hops to prove it. Fuller’s Jeckyll and Hyde beer is a case in point. The hops are grown by local (Chiswick) farmers and dried in one of Fulller’s hops stores. This outfit may have been brewing beer for over 170 years, but they have never lost their passion for the finest traditions of the art. Perhaps that’s why their beers have won so many awards. Are you familiar with CAMRA (the Campaign for Real Ale)? Back in the early 1970s, Brit beer was morphing into a run of the mill, fizzy (carbonation added) shadow of the once famous English brew. CAMRA almost singlehandedly changed that by demanding (i.e. convincing patrons not to drink fizzy crap) that real ale be served. Followers flocked to join in. Back then, it was hard for me to find the true, hand-pumped keg beer in Britain. Believe me, I searched. 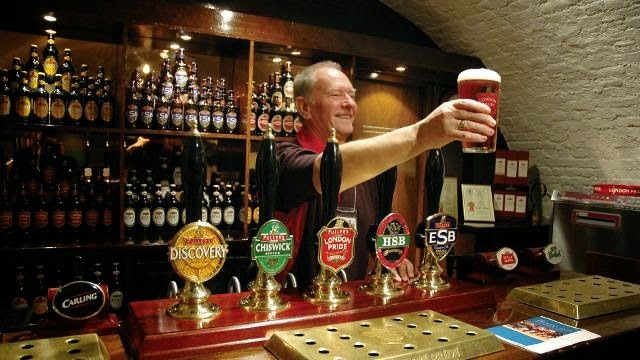 Even in London, traditionally served ale was rare. To help out, CAMRA published a Guide to Real Ale. It was less than two hundred pages for all of Britain. Now the book must be three times that and hand pumped ale is in every pub. You even find it in Britain’s major airports. But, back to the Fuller prizes: ESB (Extra Special Bitter) - 1978: CAMRA Champion Beer in Britain. Fuller’s won that most prestigious award again in 1979 (London Pride), and 1989 (Chiswick Bitter). All three are still in the forefront of the Fuller beer selections, as are so many other brews that cover the spectrum from lager to stout. By the time the tour was over, I’d worked up a powerful thirst. We headed to the tasting room and for forty-five minutes, the group of six of us, including an English and a Swedish couple, tasted everything we could pour down our throats. The big three beers, of course, but also aged ales and so much more. This is where our guide really came into his own. He pointed out, not only the alcohol content, but the subtle differences in brewing methods and resultant flavors. He knew his beer! Also, he kept pouring...an endearing quality. This fellow was not our guide, but all the guides are excellent. What is aged beer? Fuller brews many of them, always in limited numbers, and usually aged in whiskey barrels. More robust taste, with notes of vanilla and whiskey. Pour one into a brandy snifter, sit by a fire, and sip it slowly, savoring each swallow. Why a fire? Aged beers are usually marketed around Christmas. 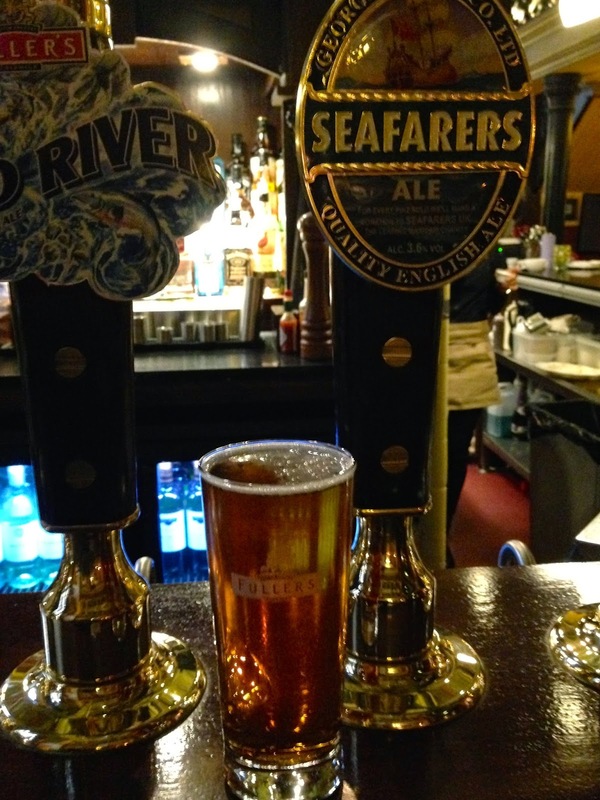 So, which beer is Fuller’s bestseller? London Pride accounts for 85% of production. This is a quintessential English beer. Rich, slight caramel flavor. Goes down as smooth as silk. What does “Bitter” mean? Bitter is the British term for pale ale, on average about 4% alcohol. Color varies from light to dark amber, all of them darker than what we would call lager. Biggest question: Is Brit beer in the states, the same as in Britain? NO WAY. First off, normally, an American bar selling English beer will cool it to just above freezing, blocking out most of the flavor, and then inject carbon dioxide as it comes out of the keg. Then there’s the question of time-span from import to consumption. European beers in America tend to sit on the shelf past their shelf life. Also, carbonation can preserve freshness, so it is often added, giving the beer a different taste. Then, there’s the requirement for pasteurization and the high heat radically changes the flavor. So, what’s my favorite Brit beer? Ah, that remains a secret, but join me for a pint and I’ll share the secrets of my beer drinking heart, especially if you’re buying. I prefer the lower alcohol beers, usually 4% or less. They’re smooth and go down easily. And with all the walking I do in London, hitting five to eight pubs a day, 4%ers eliminate slurred speech and “minding the gap." But, don’t take my word for the Fuller’s experience. 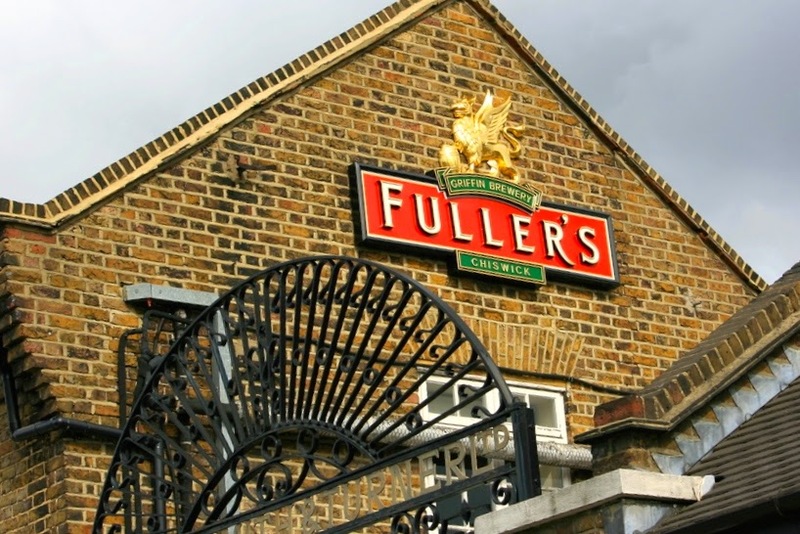 Next time you’re in London, sign up for a tour and tasting at Fuller’s Brewery. If you like beer, you’ll love the trip. If you don’t like beer, you’ll enjoy the history. And, if you don’t like history, stay the hell out of Britain! 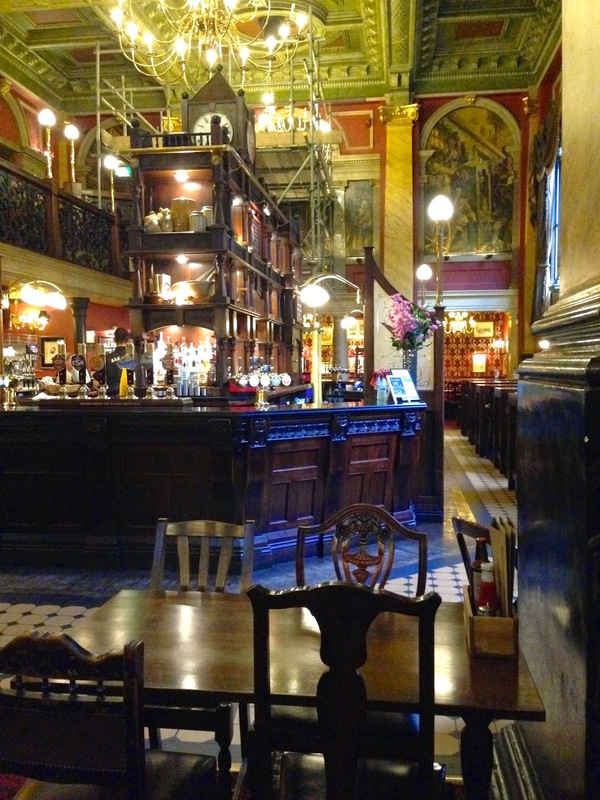 Two more London pubs ya gotta see. I know, you’re thinking: More pubs? Can’t count any more! Already got my shoes off and running out of digits! I offer this simple truth: You cannot visit too many pubs. Even a couple of lifetimes might not even do the trick. But, I see your problem and I’m sympathetic. How often does a person get to London? In my case, the answer is EVERY CHANCE I FREAKING GET! But then, I’ve been going there for some forty years and I get back an average of three times a year. When my brother and I meet in London, every two years, we manage to hit about thirty pubs in a week and I still carry a list of “must go to” pubs we haven’t set foot in. 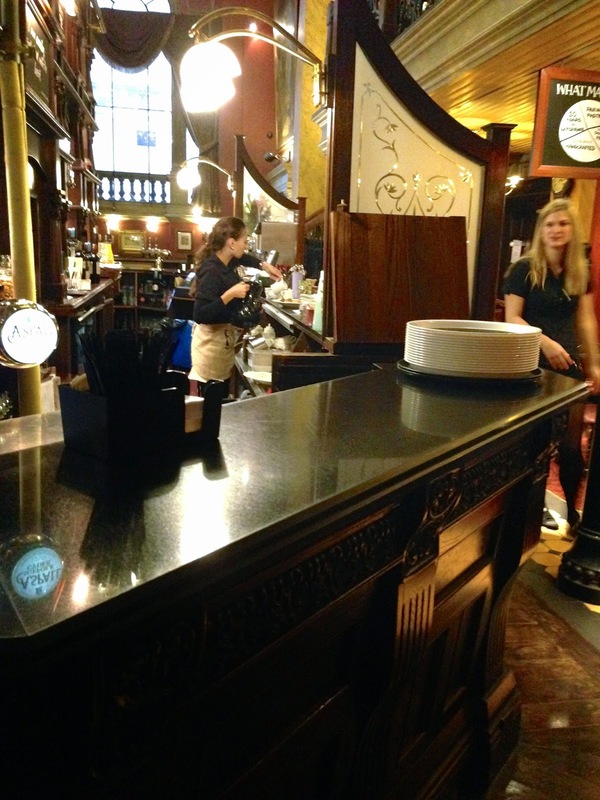 Both are owned by Fuller Brewery and both went through years of refurbishment before any barkeep pulled a pint. I’m talking about refurbishment in the grand sense of the word. 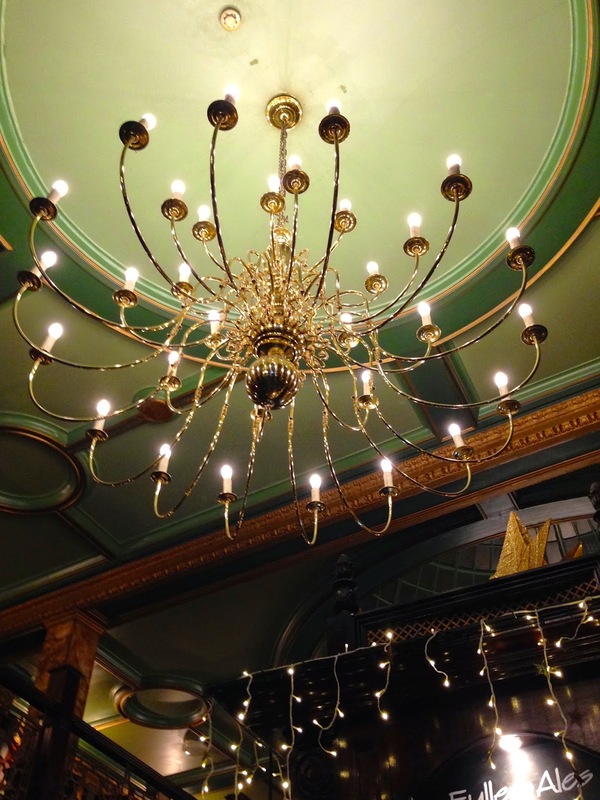 Soaring, intricately festooned ceilings, carefully carved dark wood, sparkling chandeliers, majestic windows, and of course, fabulous ales, pulled from the cask by hand pumps. English ales, on the other hand, are a product of top fermentation. Few to no bubbles. 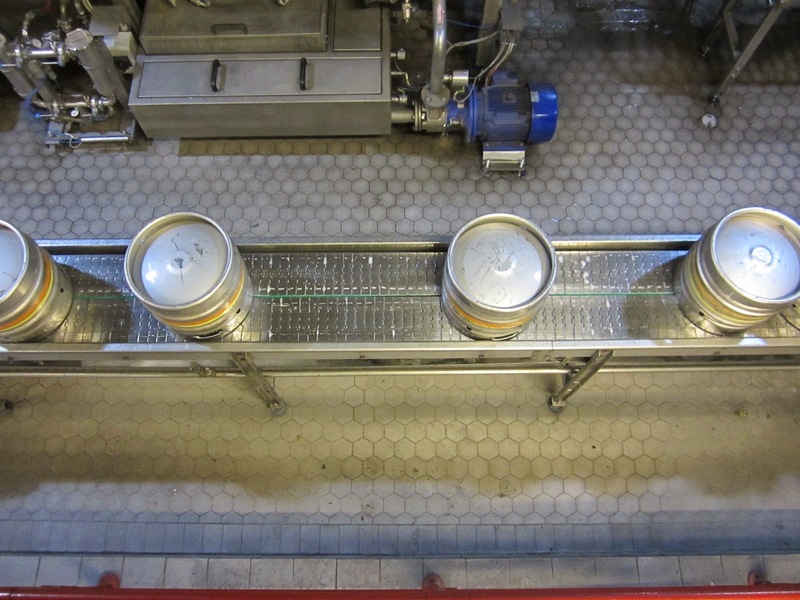 Ale is placed in kegs for a secondary fermentation and storage. There’s almost no carbonation to pump it out, so the ale must be hand-pumped directly from the keg. In some cases it’s called cask conditioned, or gravity ale. As the name implies, gravity ale flows directly from the spigot in the cask, with no pumping required. Ok, it’s a bit more complicated, but those are the basics. The result is (in my considered opinion!) a different beverage from the beer Americans’ taste buds are used to. Sometimes the English beverage is derided as warm, flat beer. No so. Normally, kegs are kept in a pub’s cellar, where the temperature is about 55-60ºF. Cool, not warm. And with top fermentation, the result is deeper, amber color, and robust flavor, not the same thing you’d get if you let an American beer go flat. Lest you think I’m knocking American and European beers, I’ll confess that an ice cold, fizzy brewski, after mowing the lawn on a sweaty summer’s day, is just the thing to bring you back to life. Time and place for everything. But, I’d much rather be ensconced in an English pub, sipping an English pint. There’s something about the sheer romance of hand-pulled ale and the atmosphere of an old and wonderful watering hole, that’s the thing of comfort and dreams. Plus, the rich, complex flavors of English ale are to be sipped and savored. 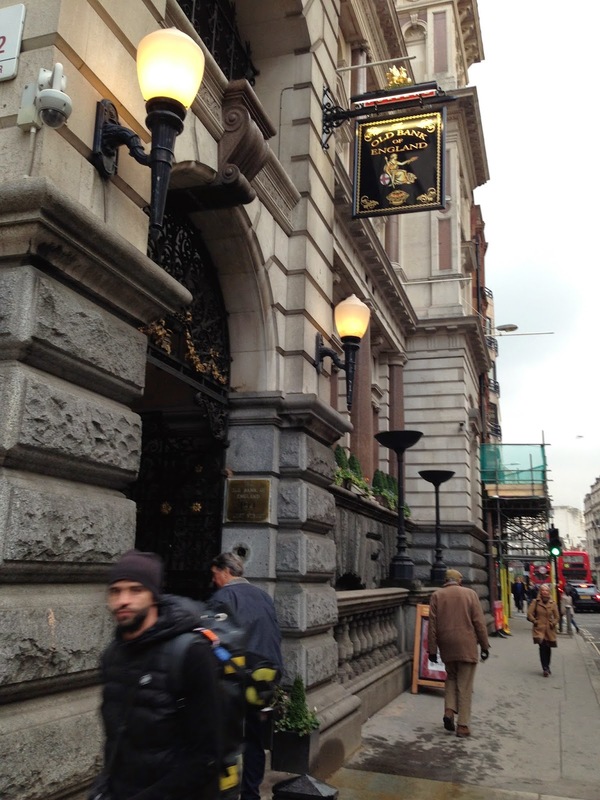 Check out the photos of The Old Bank of England and The Counting House and see if you don’t yearn to join me for some polite chat over a pint. The Old Bank of England (194 Fleet Street) is in what once was the bank branch in the Courts of Law. Don’t miss the gallery, which gives a magnificent view of the entire pub. And don’t just come here to drink. It’s famous for it’s English fare, including heavenly meat pies. 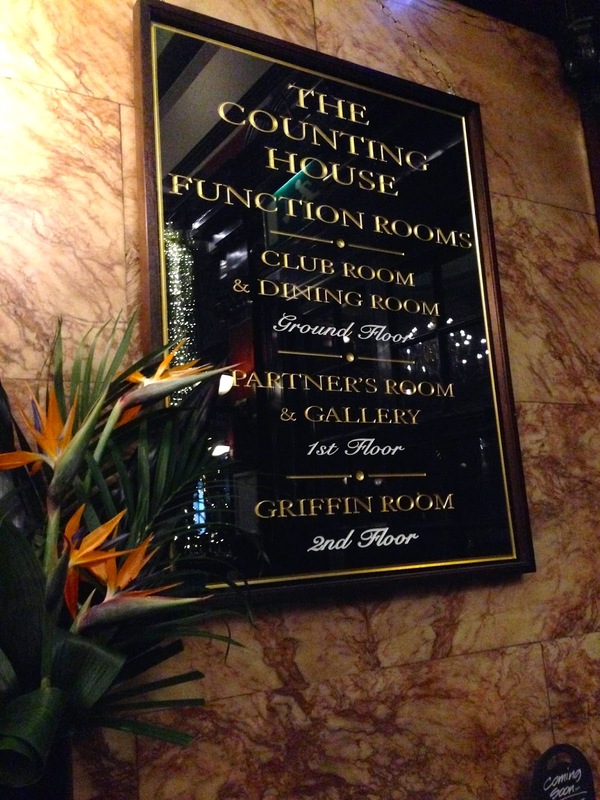 The Counting House (50 Cornhill) dates from 1893 and as the name implies, was once a Victorian banking hall. As with The Old Bank of England, The Counting House gleams and glows with 19th Century luxury and charm. It also sports a wondrous gallery that allows you to observe the full sway of the crowds while you calmly sip your ale. Ready to pull a pint? Both pubs are spectacularly adored and spaciously comfortable. The perfect spots for gentlemen and their ladies to while away a few hours in the almost magical atmosphere of old London. Make sure you check the opening hours on these pubs before you go. Next blog, I'm going to treat you to a Brewery tour! 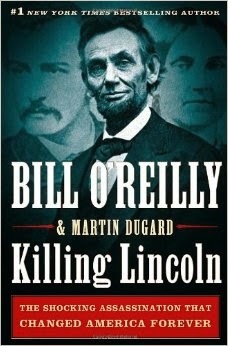 Why read Killing Lincoln, by Bill O’Reilly and Martin Dugard? We already know the story, right? No, we don’t. Mostly what we know came from a short paragraph in a middle school history book that summed up the entire American Civil War in one page. We memorized enough clichés to answer three multiple questions on the test, and moved on to the next chapter. If you want to know American history, you’ve got to dig deeper. Bill O’Reilly and Martin Dugard have done that for you. And, my prejudice is that every American should be able to recount America’s major events, with depth and understanding. Killing Lincoln is history, couched in a thriller that brings the story to life. The characters involved in this drama were flesh and blood, with families, fears, hopes, dreams, and often dreadful shortcomings. This is not the history you remember, but a well-told tale that has the pages flapping and new questions running as fast as deer through a dark forest. Picture the bloodiest war in American history coming to an end on Virginia’s bloody battlefields. Lee’s army is finally defeated, the south subjugated, the slaves freed. Yet, Lincoln still cannot rest. There’s a nation to rebuild. His cold-blooded murder by a southern sympathizer will lead the United States in a different direction than the one Mr. Lincoln imaged. The starting point will be marked in blood in Ford’s Theater, within walking distance of the White House. What followed left a deeper wound that even impacts today’s America. What was America like on the day of the fatal shot? Lincoln’s America is one you and I would not recognize. The District of Columbia is a sprawl of dirt streets, galloping horses, and saloons on every corner. Want to talk to President Lincoln? Stroll into the White House and wait your turn, or spend the night in a hallway and catch him in the morning. If you want to hear him speak, just gather with the multitudes on the White House lawn. Get as close as the crowds will allow. Security? Well, sure, but let’s not let it interfere with strolling to the closest bar and tipping a cool one. The war is over. Why not celebrate with a little gunfire and a lot of whiskey. And what about John Wilkes Booth? What was he like and how did he think he could possibly get away with killing a victorious President? What did he hope to accomplish? Just in case you have strong Liberal leanings, and flinch at the mention of Bill O’Reilly’s name, have no fear. Killing Lincoln, written in the style of a novelist telling a story, is straight with the facts, including an array of colorful asides that bring the characters to you in brilliant, living color. This is no ideologue’s slanted, slash and burn, feeble attempt at a rewrite. It’s a dynamic retelling of events leading to the first American President being assassinated, couched in his life and times, and adorned with the hopes and dreams that all ended with the crack of a pistol shot. Part thriller and all history, just pour yourself a glass of your favorite, pick up Killing Lincoln, and you’ll be drawn into an America you never knew, and an event that changed the shape of America forever.